Our Traditional Rubber Stamps are robust and have a bright modern appearance. They can incorporate your customised design/layout. The stamp is fully indexed with the impression on the top face of the stamp. See the template below for the standard sizes. The smaller ones are usually supplied on a plastic mount with plastic handle. Larger sizes are usually supplied on a wooden mount. 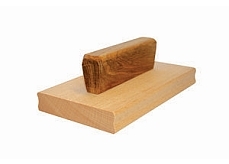 Larger sizes are usually supplied on wooden moulding to enable easier use, these include a holding handle for a comfortable grip. They are usually available on our lighting speed service at no extra cost. Rocker mounts can be used with very large stamps, these enable an even impression to be achieved; they take a little longer to produce and also incur an extra charge. We stock a full range of ink pads and inks to suit all sizes in our Traditional Rubber Stamp range.